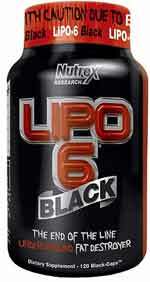 Lipo-6 Black is a weight loss product manufactured in the USA by Nutrex. The formulation is designed to help users attain their weight loss goals by providing fat burning and appetite suppressing benefits. Formulations that provide appetite suppression can help the user avoid the temptation to overeat or snack between meals, and can be very effective for maintaining a lowered calorie intake. Fat burning products trick the body into burning its existing fat stores. When combined, appetite suppression and improved fat burning abilities can deliver fast results, but the range and quality of results obtained is dependent on the quality and quantity of the ingredients used. Caffeine anhydrous: Caffeine is one of the most widely-used stimulants in the world, and can be just the thing for boosting flagging energy levels or improving concentration abilities. Caffeine is also an appetite suppressant and its use can further assist weight loss by increasing the speed at which the body burns calories. Beta-Phenylethylamine HCI: An organic ingredient that is a common inclusion in weight loss formulations because it is believed to be an appetite suppressant. It is also often touted to be a mood enhancer. Coleus Forskohlii: The results of some studies suggest coleus forskohlii can offer weight loss benefits, but its powers may be somewhat limited. After one study, conducted on 23 obese women, no significant weight loss was noted, but the researchers stated the ingredient may have potential as a weight gain prevention method. Advantra Z Citrus Aurantium (50% synephrine): A patent-protected bitter orange extract. Bitter orange is rich in synephrine—a compound that has proven fat burning abilities and can speed-up calorie burning. It is often used as a safe alternative to the banned ingredient ephedra. Zingerone: A ginger derivative. Laboratory tests conducted on rats suggest it may assist weight loss by preventing fat storage, but further study is warranted—preferably conducted on humans. Yohimbine HCI (Yohimbe): A plant extract that has a strong reputation both as fat burner and as a muscle building aid. 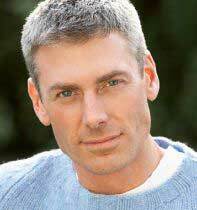 Some studies suggest yohimbine may also function as an appetite suppressant. Three capsules are required each morning. A further three capsules should be taken in the afternoon. Doses should be timed so that the capsules are taken half-an-hour before eating a meal, but should never be taken within six hours of going to bed. Supplementation must be stopped after 60 days of use, but can be recommenced after 15 days of non-usage. 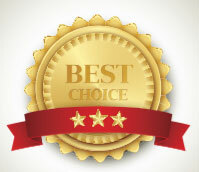 A few customers claim the product does not work, but the majority of customer testimonials suggest otherwise. The manufacturers state Lipo-6 Black is not suitable for anyone who is under the age of 18 or for pregnant of breastfeeding mothers. They also warn against taking the capsules alongside anything that may provide additional quantities of synephrine, yohimbe, caffeine, or any substance that is likely to boost thyroid activity. According to the label on the bottle some people should always seek medical advice before using Lipo-6 Black. Product that provide phenlylephrine, ephedrine, phenylethylamine, or pseudophedrine. Anyone who has an existing medical condition of any kind is warned to seek medical advice prior to using Lipo-6 Black. The label also points out the formulation contains ingredients that might be banned by some sporting associations. 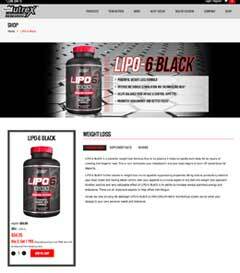 Lipo-6 Black has a MSRP of $59.95 US per bottle (120 capsules) but the official website often offers customers a $5 discount. It is also possible to buy Lipo-6 Black via a number of independent online retailers including GNC and Dolphin Fitness, and many third party sites slash the MSRP by up to 50%, so significant savings can be made. Nutrex does not back Lipo-6 Black with a money guarantee. 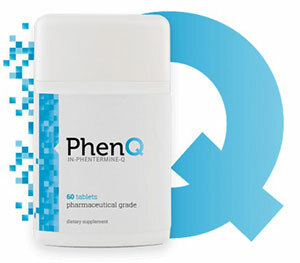 We prefer PhenQ – as a fat burner it is arguably the best selling commercial product across the globe. It is also a highly effective appetite suppressant. PhenQ has an ingredient profile to rival and better virtually of its competition – no matter how you dress the product up and advertise it, it is is results that define a product.